The specialists in the Center for Advanced Digestive Care (CADC) at NewYork-Presbyterian/Weill Cornell Medical Center are experienced in diagnosing and treating pancreatic disorders. An interdisciplinary team of gastrointestinal specialists in endoscopy, radiology, and surgery works together to provide each patient with coordinated, advanced, and individualized care. Please contact our Advanced Interventional Endoscopy team to discuss your case. Depending on their type and stage, disorders of the pancreas may cause symptoms such as nausea and vomiting, upper abdominal pain that radiates into the back, jaundice, weight loss, and fever. Some disorders, such as pancreatic divisum, may cause no symptoms at all. For more about these procedures, visit the Advanced Interventional Endoscopy page. The treatment of pancreatic disorders depends on the type and severity of the disorder. Patients with pancreatitis (acute or chronic) may need to stay in the hospital to receive intravenous fluids, antibiotics, medication to relieve pain, and nutritional support with feeding tube placement. Patients with pancreatitis are at risk for complications such as pancreatic stones, narrowing of the ducts, bile duct leaks, and/or cysts and pseudocysts. Our interventional endoscopy specialists are experts in performing ERCP, EUS, EUS-guided ERCP, and other EUS-guided procedures to treat these complications. We employ extracorporeal shock wave lithotripsy (ESWL) to treat large pancreatic stones, the same way it is used to treat kidney stones. We employ extracorporeal shock wave lithotripsy (ESWL) to treat large pancreatic stones, the same way it is used to treat kidney stones. 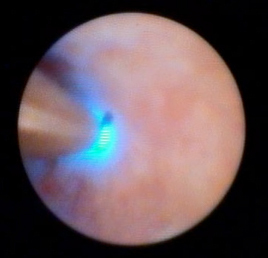 ERCP is used to perform a sphincterotomy (a tiny cut made to enlarge the duct opening); to perform balloon dilatation (insertion of a balloon to open a narrowed duct); to insert a stent and open a blocked duct; or to remove or destroy an occluding stone using laser or mechanical lithotripsy (shock wave therapy). 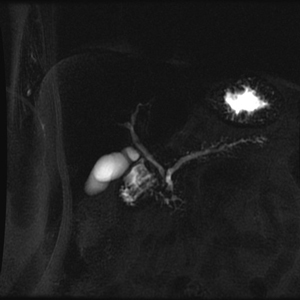 Confocal imaging may be used to visualize the pancreatic duct. 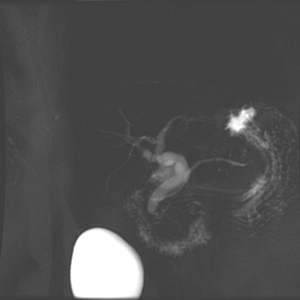 When pancreatic tissue is destroyed in patients with acute pancreatitis, ERCP can be performed to detect a disruption in the pancreatic duct and to place a stent sealing the leak. A feeding tube can be inserted to provide nutrition while resting the pancreas. Pancreatic fluid collections or pseudocysts can be drained safely endoscopically using EUS guidance. Necrotic tissue (dead tissue of the pancreas) can be debrided (removed) from the inside using endoscopic approaches. 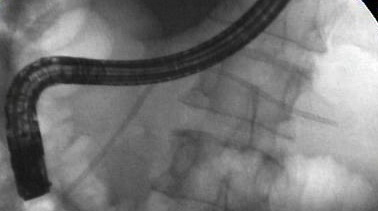 Patients with severe pain due to pancreatitis may undergo an EUS-guided celiac plexus block (neurolysis — a form of local anesthesia used to treat severe or chronic abdominal pain. In the case of pancreatic divisum, some individuals develop a blockage of the pancreatic ducts which causes pancreatitis. 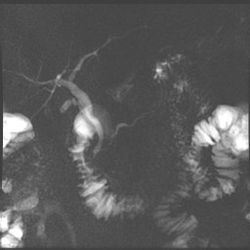 The CADC's physicians treat patients who develop this complication with supportive therapy for pancreatitis, and they perform ERCP to enlarge the "accessory" duct draining the main pancreatic duct.